I have a passion for unusual and unique, simple and neglected, plain and forgotten pieces of furniture. 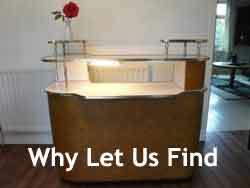 I personally source antique fairs, shops and the auction houses of England and France looking for inspiring shapes and quality designs. Choosing items of every era- from the Napoleonic reign in France, through to the art deco period of England, including the Danish inspired modernism. An eclectic mix of styles and designs........Taylor Made. 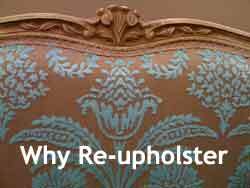 If you have a Grandma's chair in the attic or a chest of drawers in your garage, invest in the history of the piece. 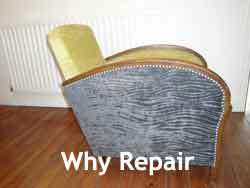 Let me urge you to contact me and together we can creatively transform your items into something beautiful and bespoke. Alternatively I can also source items for you. 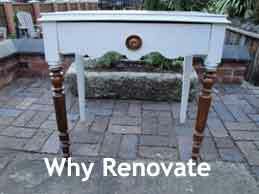 Following my studies in traditional upholstery methods I can renovate and recover old chairs and personalise the fabric to match today's colour schemes, or transform an old Victorian sideboard into a fabulous showpiece by using creative paint techniques. 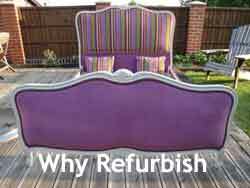 I try to be as environmentally friendly as possible, for as well as recycling furniture from yesteryear, I use eco-friendly paints, varnishes and fabrics wherever possible. Contact The Furniture Taylor now ! 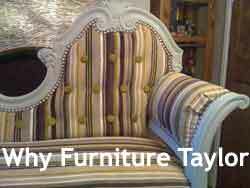 Contact The Furniture Taylor now!